As you can see, the mouth can display ailments are not even related to the mouth or mouth areas. That is why dentists must be fully trained to know what these signs are and what they mean. Early detection of multiple diseases and health problems can often be life-saving. Graduate of the Columbia University School of Dentistry, Dr. Lerner has maintained a private practice in Palm Beach Gardens since 1983, focusing on comprehensive restorative and aesthetic dentistry. He is a member of The American Dental Association, The Florida Dental Association and The Academy of Cosmetic Dentistry. He is a clinical instructor with The Rosenthal Institute at New York University, Palm Beach Community College and the Eastman Dental Clinic in London, England. In addition, Dr. Lerner has published numerous articles in Dentistry Today, Contemporary Esthetics and Dental Products Report, and lectures in the field of aesthetic dentistry, both nationally and internationally. By completing over 200 hours each year in expanding his education, he maintains an exceptional expertise in the latest dental procedures and technology. On November 21, 2003, Dean Michael Alfano officially dedicated a wing of New York University Dental College (NYUDC) as the Dr. Larry Rosenthal Institute for Aesthetic Dentistry. Named in honor of its principal benefactor, the Rosenthal Institute is wholly dedicated to fostering continuing education, research, and patient care in current and emerging techniques in aesthetic dentistry. The institute also houses NYUDC’s continuing education program, which annually attracts more than 4,000 dentists from more than 20 countries, making it perhaps the most far-reaching program of its kind in the world. 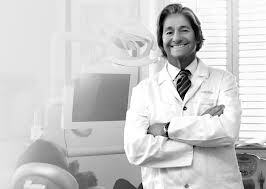 Dr. Rosenthal’s vision and generosity have helped to create a cadre of aesthetic dentists who can make aesthetic dental services more broadly available to the general public. It is the nation’s first comprehensive program in an academic dental center to train dentists in the burgeoning field of aesthetic dentistry. Rosenthal Institute’s 8,500 square foot learning facility features an elegant marble and mahogany décor. It is equipped with 15 state-of-the-art treatment rooms that are equipped with state-of-the-art ambidextrous capable KaVo dental chairs, a 52-seat amphitheater with laptop connection, a surround sound system, and global video conferencing reach. It also has a corporate-style boardroom with remote broadcast capabilities, and a large laboratory with a demonstration area with overhead state-of-the-art TV display. In addition, the Rosenthal Institute has an operatory under glass outfitted with multiple cameras to permit live interactive clinical demonstrations that can be broadcast around the world, providing a coordinated approach to the study of aesthetic dentistry where students will develop skills in current and emerging techniques. If you are interested in The Rosenthal Institute, contact Aesthetic Advantage at 212-794-3552 to register today! Or visit www.aestheticadvantage.com for additional information. Individuals who learn in a hands-on learning environment are more likely to remember the material better. Studies show that hands on courses motivate individual to actively engage in their learning and improve their skills. Hands-on dental courses allow individuals to discuss any misconceptions they have on the material, providing people with the right guidance in order to be successful in all fields of dentistry. The Rosenthal Aesthetic hands-on course is a class designed to give you day-to-day scenarios in which you will be dealing with aesthetic procedures as a dentist. This course is designed to give you hands-on interaction with whomever you’d like to bring along as your patient. If you don’t want to bring a patient, you don’t have to, and you only have to pay half of the tuition. For tuition information and to register for our program, please contact us for tuition information (212) 794.3552 or email us at aestheticadvantage@ra-grp.com. Of the many courses offered at Aesthetic Advantage, the Observer Head Start Program can give you the step up needed to get your career started. The program is designed to provide dental school graduates an opportunity in continuing education. Participants will be able to audit the continuum (at half the cost of the normal tuition), making it an ideal choice for those starting up again. You will be able to listen to lectures and observe our clinic session where up to 15 live cases will be prepared, temporized and seated the following session. This option will also allow you to see if our Aesthetic Program and philosophy is right for your practice, making it a win-win for everyone that may not be sure if it’s the way they want to go. The Observer Head Start Program is definitely an affordable way for up and coming dentists to have the chance to jump start their careers. It is also important to note that only the first 10 applicants are accepted into each course, so don’t delay in enrolling! Larry Rosenthal, DDS is a New York-based dentist who has built an international reputation for his expertise in aesthetic dentistry. He completed his residency at Montefiore Hospital and graduated from New York University in 1972. Dr. Rosenthal is an accredited member of the American Academy of Cosmetic Dentistry and the Director of the Aesthetic Continuum at The Advanced Aesthetic Program at The Rosenthal Institute at New York University, The Palm Beach Community College and the FMC/Eastman Dental College in London. Expounding his philosophies, experience and expertise in aesthetic dentistry, Dr. Rosenthal extensively lectures, publishes, and teaches dental courses throughout the country. Dr. Rosenthal is on many advisory boards and is the Director of Aesthetic Advantage Inc., a company dedicated to continuing education with hands-on courses and dental educational products. 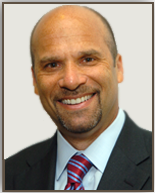 He also maintains a private practice with his partner Dr. Michael Apa in New York City, The Rosenthal Apa Group. He believes that improving his patients’ smiles, through dental courses, has a positive and powerful impact on their overall appearance and self-confidence. In fact, he believes in this way of practicing dentistry so much, he wrote the book on it. No, it’s true. Dr. Rosenthal recently wrote the book, Open Wider: A Guide to Smile and Facial Aesthetics to Enhance Your Confidence, Appearance and Overall Health”. In it, he will break down the myths and misconceptions about dental care – quality dental work should not be painful or expensive – and empowers you to take charge of the smile you’ve always wanted. Get your copy from amazon.com today! Don’t miss the opportunity to experience the dental courses by Dr. Larry Rosenthal and receive insightful knowledge that will further your education in the dental field. Improve your practice by learning new dental techniques through the dental courses by Dr. Larry Rosenthal. When it comes to the success of your business, staying on top of the proverbial game is key. And one way to do so is by continuing to learn and offer the most up-to-date service possible. There are various ways to keep up with the latest but going back to school will be the most advantageous to your dental practice. It’s time to take a look at Aesthetic Advantage. You will be presented with the opportunity to be a part of the diagnosis and treatment of up to 15 aesthetic/restorative combination cases, and you will learn many valuable real-world techniques that you may integrate into your practice. 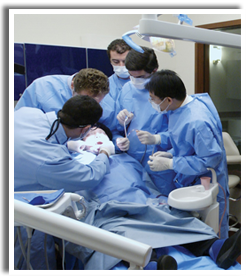 Our course is the longest running and most highly regarded hands-on symposium of its kind. We have enhanced this program further by providing you with the opportunity to listen to dynamic guest speakers, exchange information and be mentored by our faculty (previous advanced graduates) who have highly successful aesthetic/restorative practices and who are excited and passionate about dentistry and eager to share their knowledge with you. Patients of all ages in your communities are seeking procedures that will provide them with the opportunity for a more attractive and more youthful look, whether it’s plastic surgery, body contouring or cosmetic dental treatment. We welcome the opportunity for you to take our hands-on continuum to learn our philosophy and step-by-step techniques so that you can be more confident presenting and completing aesthetic and restorative cases in your dental practices. Live patient participation increases confidence and creates a higher level of understanding. 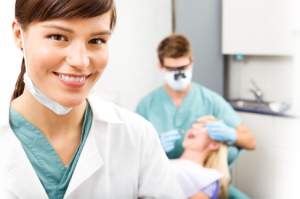 Let yourself be mentored by a unique group of talented dentists who really enjoy what they do. Now that we are officially in the midst of summer, it is time for all of our fun summertime events to begin. Unfortunately for our teeth, it is also the season so full of fun and sugar that we tend to overindulge in all of the sugary sweetness the season has to offer. Believe it or not, but the average American consumes 50 gallons of soda and other sweetened beverages each year, according to the California Center for Public Health Advocacy, and more than 19 percent of children ages 2 to 19 have untreated cavities. This is a problem, folks. Because not only does bacteria feed on the sugars in what you eat and drink, but it creates acid that can break down the tooth’s outer surface and valuable minerals that protect teeth from decay. CDA urges people to swap out sugar-laden drinks for a glass of milk or water this summer. It contains zero sugar, acids and calories, making it fantastic for your teeth and your overall health. After all, summer’s hot – we need to stay hydrated to keep our bodies working properly. 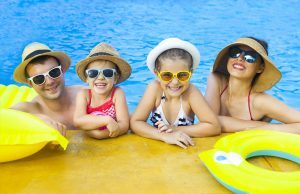 Most importantly, protect teeth throughout during these hot summer months by brushing for two minutes twice a day, flossing regularly and visiting a dentist for a complete dental checkup on a regular basis.